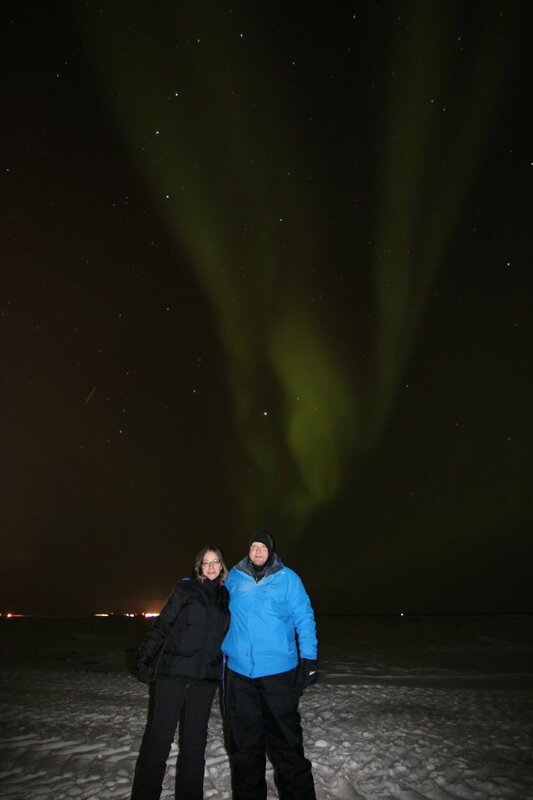 A lifelong desire to see the Northern Lights brought one couple to Churchill, Manitoba. When they left, Carin Guisti had a ring on her finger. The vacation Rigby refers to is Frontiers North Adventures Northern Lights and Winter Nights package, which includes four nights of opportunities to watch the Aurora Borealis dance across the northern sky. He had seen a short description of the vacation in pamphlet mailed to him by the American Automobile Association (AAA) and thought it would be the perfect way to satisfy Guisti’s dream. Landing in Churchill they were immediately stunned - not just from experiencing -49 degree fahrenheit (-45 celsius) weather for the first time - but by the incredible landscape, the clean, crisp air, and the kindness of the people who live there. In addition to seeing the lights, their tour included a dogsled ride over the frozen terrain, seeing northern animals at play on a Tundra Buggy tour, and - one of Guisti’s favourites - munching on ketchup chips. Are you ready for a once-in-a-lifetime northern lights experience? Join the Adventure in 2018. Knowing the lights won’t always deliver a spectacular show, Rigby kept the ring with him every night they went out to view. “I just wanted to get the two of us together, alone under the night sky when I proposed,” he said. That perfect moment happened on the pair’s third night in Churchill. Rigby and Guisti have been together for 15 years in a semi long-distance relationship, which the couple agree has kept their romance young. The pair are literally separated by a mountain - the Sierra Nevada snowy range sits between his home in Nevada from her home in California - which often means they see less of each other in the winter months. It makes sense, that they would plan their romantic getaway in March, a chance to see each other after the snowy season. A month before the pair visited, Google Canada named Churchill one of the country’s most romantic destinations. 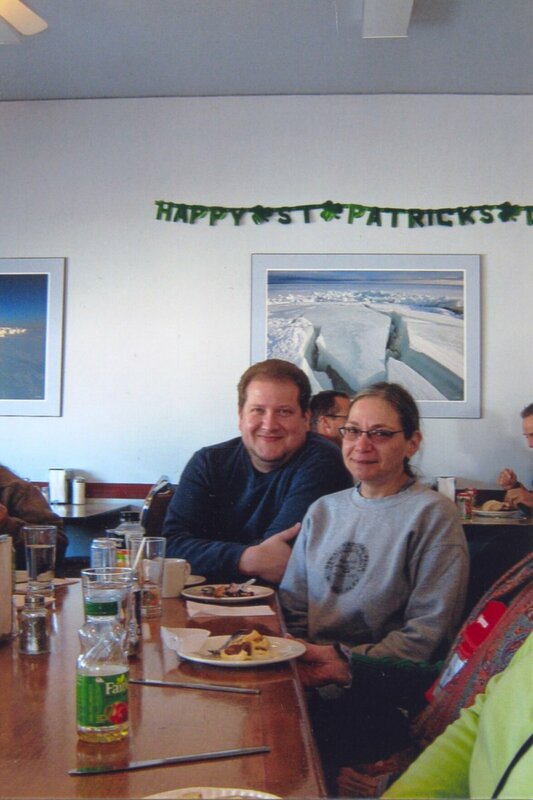 In an interview with CBC Manitoba, the town’s mayor, Michael Spence, said he wasn’t surprised - adding that a number of couples have travelled to Churchill for a special getaway to get engaged or married. John Gunter, president and CEO of Frontiers North agrees there is something magic about the north. “I watched my parents build a business together in Churchill and how being here and experiencing the beauty of Canada’s North brought them closer together,” he said. 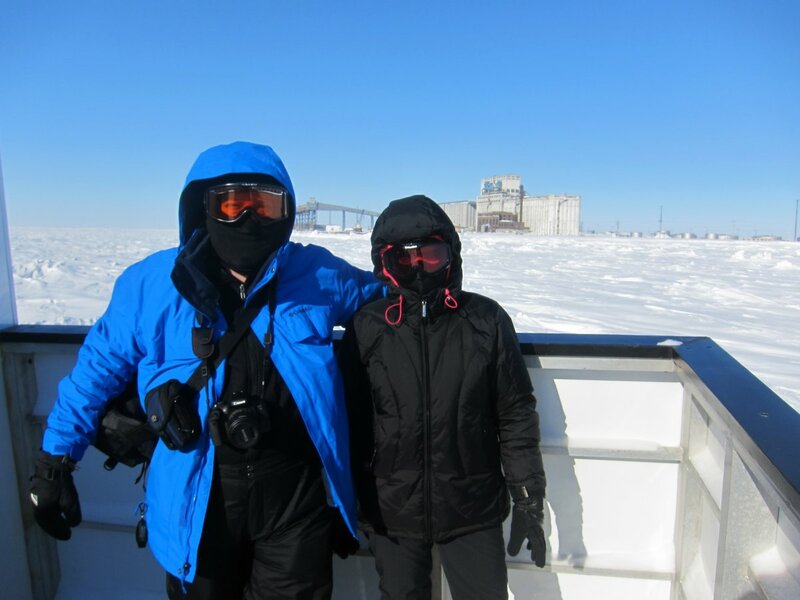 John and his wife, Lisa Joy, spend about half their time in Churchill, managing Frontiers North Adventures’ operations and Fifty Eight North, the company’s store. “There’s something about the cold temperatures that brings out a warmth in people. And when you’re with your partner, feeling that warmth, surrounded by the magnificent tundra and dazzling northern lights, there’s no other way to describe it but romantic,” he said. For Rigby and Guisti, Churchill - not only as the location of their engagement - will hold a special place in their hearts for the hospitality and beauty they experienced.